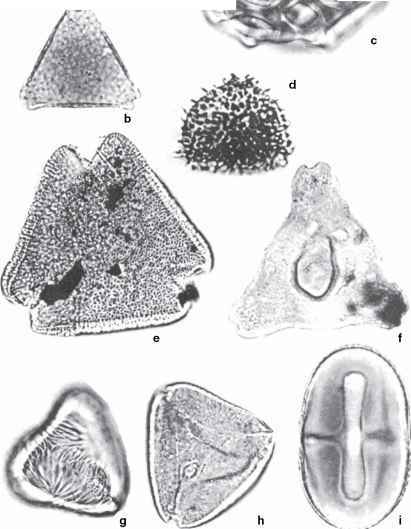 Figure 6.21 Occurrence of spores and pollen in samples from the Torosaurus Section (from Nichols and Johnson 2002). HC = Hell Creek Formation, FU = Ludlow Member of the Fort Union Formation; stars designate species restricted to Maastrichtian rocks. Reprinted by permission. Museum specimen V96019) was collected at this locality from the Fort Union strata of Maastrichtian age, 176.5 ± 2.5 cm below the K-T boundary (Pearson et al. 2001; Pearson et al. 2002). Figure 6.23 is a photograph of the locality taken during excavation of the dinosaur bones and collection of palynological samples. This is the stratigraphically highest dinosaur skeleton in uppermost Cretaceous rocks in the Williston Basin region - significantly, it is clearly below the K-T boundary. An abundance of K taxa (Figure 6.22) verifies the latest Cretaceous age of the dinosaur. An apparent tailing-off in the presence of K taxa below that interval is attributable to the Signor-Lipps effect.